Bigger isn't necessarily going to save your life. New cars and trucks are safer than ever, but obviously some are better than others. Take full-size pickup trucks, for example. 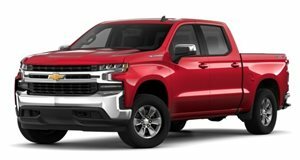 The Insurance Institute for Highway Safety (IIHS) has just released results of a new round of small overlap front crash tests for the Chevrolet Silverado/GMC Sierra 1500 Double Cab, Silverado/Sierra 1500 Crew Cab, Toyota Tundra Double Cab and CrewMax, Ram 1500 Quad and Crew Cabs, and the Ford F-150 SuperCab. All are 2016 model year examples, and yet only one earned a ‘Good’ rating, while the others were marked as ‘Acceptable.’ Which one was it? 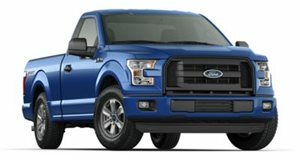 The F-150 SuperCab, which only last year lacked structural countermeasures that prevented it from a higher score. Ford paid attention and made the necessary improvements. This particular crash test replicates what happens when a vehicle runs off the road and hits a tree or pole, or even clips another vehicle that’s crossed the center line. The other trucks that received a lower grade will, more than likely, be tested again next year. Hopefully those automakers will follow Ford's lead here.